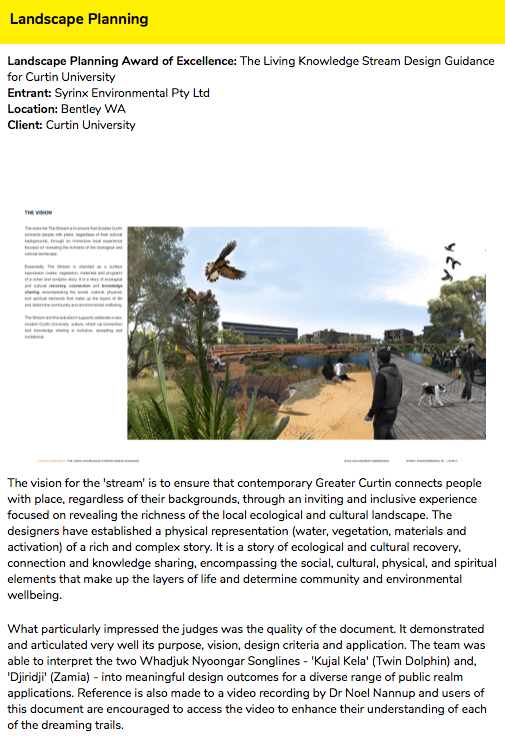 At this year’s AILA WA awards’ evening, we were honoured to receive the Landscape Planning Award of Excellence for our Living Knowledge Stream Design Guidance document for Curtin University. 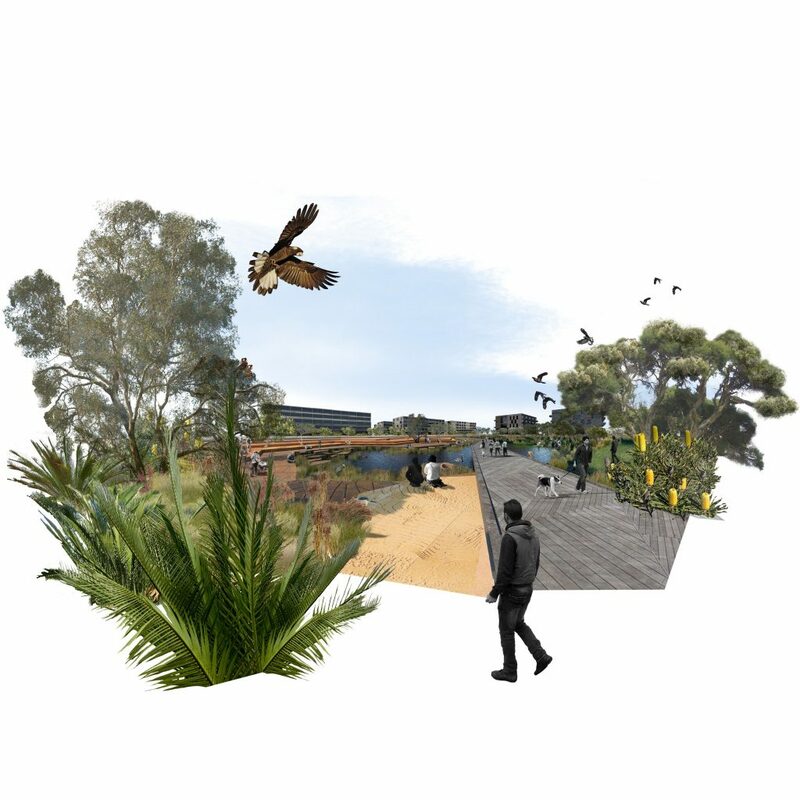 The judging panel were particularly impressed with how the guidance document was able to demonstrate its purpose, vision, design criteria and application – thereby allowing meaningful design outcomes for a diverse range of public realm initiatives. We would like to acknowledge Whadjuk Nyoongar People. Their stories underpin and provide inspiration for the guideline. 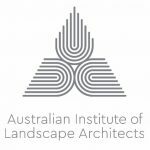 We share the success of this award with our project partners, Sync7 (Jenny Hunter & Dr Noel Nannup) and client Curtin University. We also recognise the current working group, championed by Curtin’s Allyson Mullane, who will carry the vision forward as the guideline is used to develop projects across campus.